These stories of Bali capture the uniqueness of life in Bali from equally unique perspective of long term residents looking in. The articles listed here have been specially chosen because of their relevance to life and culture… If you would like to submit a story, please do! We are looking for unique stories visitors and long term residents would like to share. Danae Dugardyn left a career in the corporate world to embark on an international tour and pursue her dream of discovering the dance styles, languages and cultures of the world. Trained as a dancer and acrobat since she was 13, Danae's travels led her to an unplanned stop in Bali. She came straight to Ubud to study with popular dance authority, Gusti Ayu Artati-- learning Pendet, Puspanjali, and Cendrawasi Balinese dance styles. 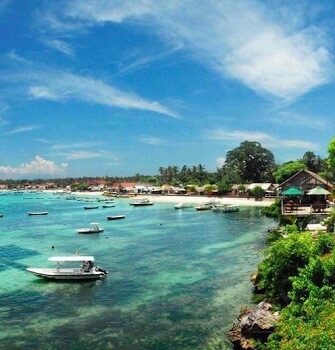 Within 2 weeks, Danae was performing at a temple on Bali's Eastern shores. "I loved this experience. And the Balinese people were so proud, grateful, and glad to see a visitor learning their traditional dances," Danae reflects, "I got close to them and will remain in contact with many of them." Indonesia is one of several tour stops for the French native. Argentina, Brazil, and India are among the other countries she has toured along the way. Ultimately, Danae intends to incorporate the different traditional dances from her travels into her own unique dance language. She is also collecting footage from her dance experiences to produce a motion picture that tracks her experiences. Danaé feels inspired in natural landscapes, and can be spontaneously moved by the energy and atmosphere of these places to dance. Several videos on her website show Danae's passionate dance expressions in naturally rich settings throughout the world, "I'm always improvising when I dance in wild landscapes, and along the way the dances I've been learning are naturally influencing my inner dance." 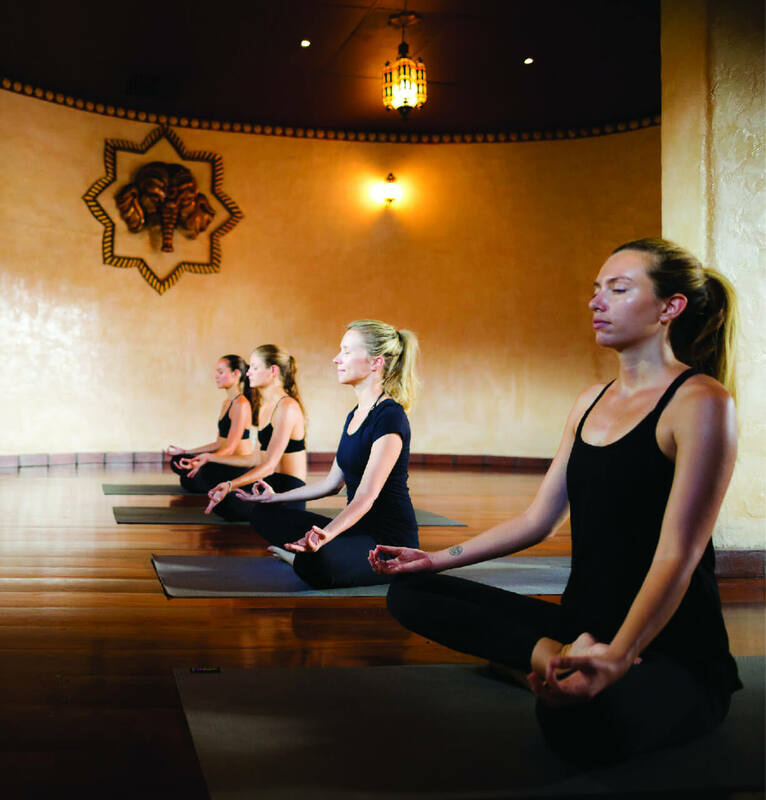 Danae is excited about the prospect of returning to Bali again for the island's internationally renowned annual gathering of yoga, dance, and music—the BaliSpirit Festival. "The most important thing for a dancer is to get out of the mind and deeply connect with the body, heart and soul. Dancing, like Singing or playing music, has a healing power. 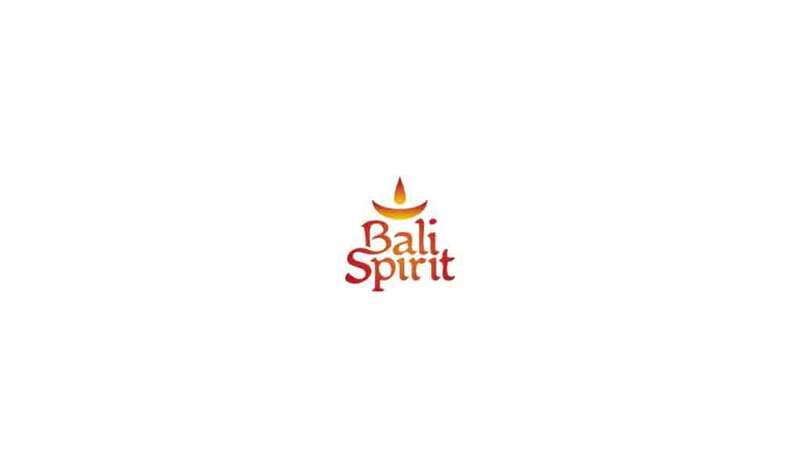 I can see how BaliSpirit Festival can be one of those reconnecting forces that can bring great joy and healing." Impressed with Danae's talent and motivation, Festival Cofounder and Producer, Meghan Pappenheim had this to say, "Danae is a perfect example of a cross-cultural explorer who is interpreting the arts in a modern way. I believe her unique approach can inspire others to follow their hearts and their dreams." Long before the Balinese starting popping Panadol and antibiotics, they had been dosing themselves with traditional herbal remedies from their fields and forests. They knew that turmeric and neem had natural antiseptic properties, cloves could be chewed for toothache or to kill intestinal parasites, gota kola leaves were good for fevers, headaches, memory and skin ailments, and unripe guava fruit for diarrhea. 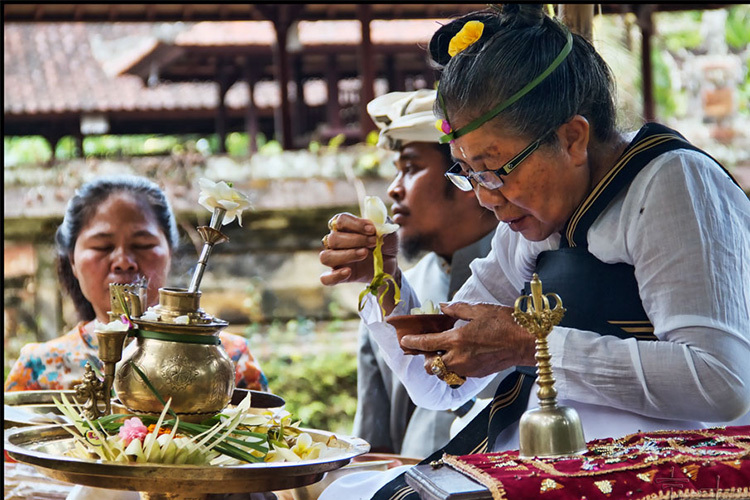 Obat Asli Bali, or the healing herbs of Bali, has been mostly an oral tradition. For hundreds of years, healers and herbalists passed down information by word of mouth to their children and students. But in the last couple of generations there have been fewer and fewer young people interested in mastering this body of traditional knowledge. The same is true in many other parts of Indonesia, where knowledge and understanding of traditional plants is dying out as quickly as the plants themselves are disappearing in the face of rampant development. Many of the potent medicines the West takes for granted were developed from herbs. Lymphatic cancer is treated with a derivative of the Madagascar periwinkle. Opium poppies give us morphine, still the drug of choice for pain control. Digitalis is derived from foxgloves, aspirin from willow bark - the list goes on for pages. And yet the healing potential of most of the world's plants is still largely unexplored. Who knows whether Bali's herbs may contain magic bullets for cancer, heart disease and other ills? A young couple near Ubud have committed themselves to help keep the tradition of Obat Asli Bali alive. Westi and Lilir met at a guiding course and quickly discovered that they had a garden of things in common. Lilir's mother and father were, among other things, healers and herbalists and relied heavily on traditional remedies for their brood of 11 children. Westi's parents were farmers who remembered how much healthier the soil was before chemical farming became widespread. 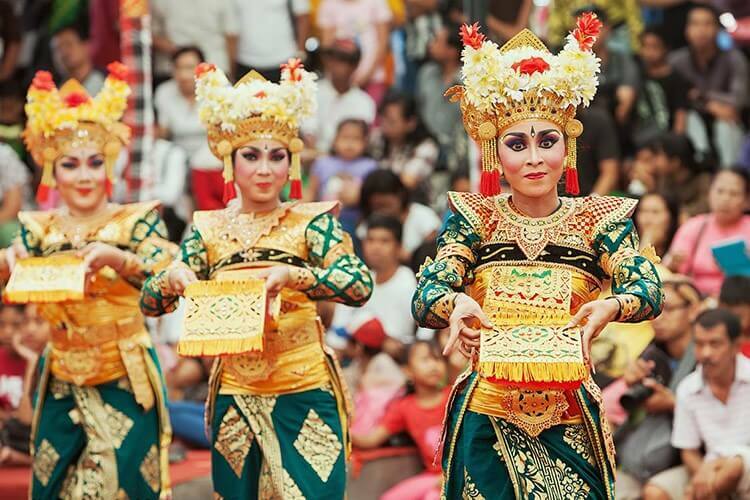 They were both inspired to use their position as guides to help preserve Bali's unique indigenous heritage. They felt that one way of doing this was to teach tourists about local medicines and plants. After they met, Westi often spent his evenings poring over books on herbs, deeply involved in qualifying himself to teach others about Bali's living pharmacy. He asked endless questions, picked specimens for identification by elders, and researched the Balinese, Latin, Indonesian and English names of healing plants. "I became deeply interested in herbal remedies," he says now. "My father thought I was crazy at the time - he couldn't see the value in it. But he was quite knowledgeable about herbs and I spent some time learning from him before he died. Now I study with three traditional healers, but they are also very old. There is a real danger that this wisdom will die out if it is not recorded." Together with local Yaysan Anak Bahagia, Lilir and Westi helped to write an illustrated manuscript on Balinese healing herbs which is now almost complete. Lilir was working as a pembantu with Melanie Templar, who has lived in Bali for 14 years. Melanie became fascinated with herbs, and started to work with D'ayu Suci, Lilir and other friends to develop products from them. In 1997 Utama Spice was established to bring herbal products rooted in Asian tradition to the world. Utama Spice has now grown into a company that works with other local producers and herbal businesses such as Bali Asli to develop new products. The company directly employs 15 staff and about 15 others indirectly. Westi is one of these, making herbal aromatic candles for Utama Spice. His family help supply the company with organic herbs. "Utama Spice is a fair trade company," says Melanie. "This means living and working together harmoniously by caring for each other, our planet and its resources. We've done a great deal of research in developing our products, which contain no chemical additives. Most producers of 'natural' products in Bali are using synthetics in natural packaging. 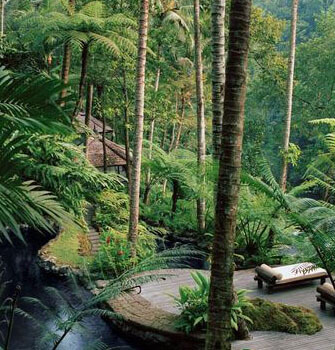 There are actually very few people doing pure, natural herbal products in Bali." Utama Spice is proud to be among these. The first product was a massage oil made according to traditional Balinese methods. They then experimented with a formula for a natural incense without sandalwood, which is endangered. They have also come up with a unique glue to hold the herb powder to the incense stick. "Now our range includes a natural insect repellent, candles made from coconut wax and tree resins, bath and massage salts based on sea salt with plant extracts, body scrubs made with local healing tubers and many more products for home and spa." All but 5% of the ingredients are sourced in Indonesia, and it is the company's long-term vision to grow all the herbs it needs through local farmers' cooperatives. The goal is to be as organic as possible, "But it's hard to be organic when the subak upstream is using chemicals," Melanie sighs. Lilir and Westi, now both qualified guides, offer 'Herb Walks in Bali', a 3-4 hour journey of exploration through Ubud's rice terraces and ravines which Melanie helped them develop. Along the way, walkers are introduced to the wealth of natural herbal remedies that grow in the fields, and refreshed by traditional Balinese snacks. Westi is also learning Japanese in order to broaden the scope of their clientele. "Foreigners can play a valuable role in strengthening human resources in Bali so that people can develop the skills needed to manage their own businesses," Melanie points out. Lilir is now director of Utama Spice, and Westi proudly produces organic herbs and continues to research his book, proving that entrepreneurship can mix very comfortably with tradition. Anthropologists marvel at the adherence of Balinese Hindus to their faith in the face of overwhelming exposure to Western 'culture'. The Balinese seem to have a unique ability to live in both worlds, to enjoy outside influences while maintaining the connection to spirit, ritual and the integral thread of religion that is so deeply woven into their community. The same tattooed kids with streaked hair who strum old Elvis hits on their guitars on the street can be found a few hours later in full ceremonial gear playing the gamelan in street processions and queuing at the neighborhood temple to pray. Little prayers decorate doorsills, sidewalks, walls and computers. Prayers flutter from tall bamboo poles, rooflines and cars. There are special days and prayers for books and metal objects. When my dog went missing, my housekeeper Wayan made a special prayer for lost dogs and he instantly reappeared after a 14-hour absence. She was not at all surprised. Prayer is as much a part of everyday life as breathing and bathing and preparing a meal. It must be among a child's earliest memories — the scent of incense, the sound of temple bells, the sight of orderly rows of people with heads bowed and hands outstretched as they wait for the flicker of holy water from the priest. Toddlers follow their mothers on offering rounds, making graceful gestures with their tiny hands. Later they will learn to weave dozens of kinds of offerings, to perform the old dances, to move with confidence between the ornate instruments of the gamelan. It's all a form of prayer. The Balinese have no terms of reference for people who don't pray; they are beyond all understanding. For two years I was an observer of Bali at prayer, admiring the regal women filing by with towers of fruit on their glossy heads, watching convoys of trucks packed with pilgrims roaring into the mountains or down to the sea. Then last year my staff sat me down with the dictionary and explained that someone had died in a traffic accident on the road leading to a friend's house where I had been spending a lot of time. They wanted me to come and pray at the temple nearby, and were so relieved when I agreed that I understood there was probably some subtext involved too subtle to be explained. Since then, from time to time, they've asked me to pray with them on special days or at special temples. I'm honored to join them. Once we went to a village temple where, after praying, we joined the community to watch a concert given by the children who were studying the traditional dances. There was the usual interminable wait, punctuated by small, exquisite children peeking at the audience through the curtains. The night air vibrated with the aroma of grilling satay, the perfume of temple flowers, the ringing of the prayer bell. Everyone was dressed in their best, down to the tiniest children. We sat on our shoes on the concrete floor of the wantilan. Babies slumbered across batik laps, plump dogs checked out the bungkus wrappers and one little boy howled in terror every time he looked at me. Finally, the performance began. Two gamelans played alternately, and the brilliantly painted and costumed children performed remarkably well. There was no applause. The villagers of all ages watched each dance intently, as they must have done for generations. 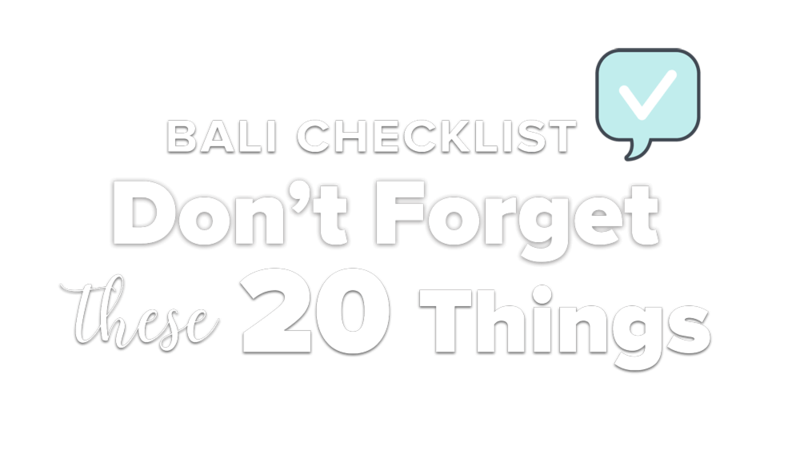 I was struck by the timelessness of Balinese culture. Outside the wantilan it was modern day, complete with a global economy, computers and space travel. Inside, it was 1903, or 1703. Apart from the electric light and smartphones, the scene was as it had always been. Then when the dancing finished, people got onto their motorbikes and went home to watch TV. 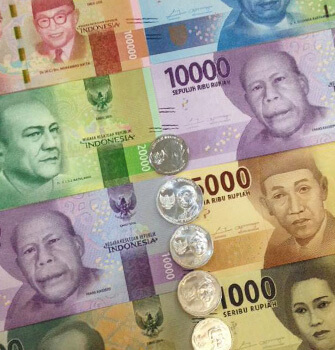 The Bali paradox is still alive. Last week I went to Besakih for the first time. Nyoman and Wayan had of course been many times but this was to be the first visit for their children, aged 3 and 5. I picked them up at their compound before 7 in the morning. The journey had the flavour of a family outing from my childhood, complete with complicated preparations, an early start and excited children. The car was duly blessed and we loaded it with snacks, offering baskets and water and then tucked our appropriately attired selves into the battered little Suzuki. It was a glorious morning. We drove up into the mountains, through village gardens dappled with sunlight. The crisp profile of Mount Agung dominated the horizon. Wayan handed round fruit and homemade tamarind sweets and pointed out the lakes and volcanoes to Putu and Kadek. In one place, a rather disturbed gentleman clad only in a pair of tattered pink knickers and with a hibiscus behind each ear stood shaking his fist at the traffic. "Orang gila," said Nyoman cheerfully. In an hour we are at the Batur temple. Although it's still early, the prayer enclosure is already crowded. We sit on our sandals on the cold concrete, waiting to pray. The air is crisp here and the children have never been so cool. They keep touching their skin with puzzled expressions. "Like AC outside," notes Wayan. Some women are wearing jackets over their flimsy lace kebayas. We pray, find the car again and retrace our way along Batur's spectacular volcanic lip on our way to Besakih. I'd been hearing for years about the massive crowds that gather to pray at the Mother Temple. The parking lots begin a long way from the entrance, and Wayan tells me that she has spent as long as 12 hours here, waiting to pray. We are lucky today, the parking lots are still empty. Dividing the load of a heavy offering basket and two children between us, we make our way up the hill past hundreds of little warungs selling toys and snacks. I offer to carry the basket at one point and manage for about 100 yards before allowing Wayan to reclaim it. It's very heavy, the sun is hot and the stairs go straight up. All around me are women coping with big baskets on their heads, babies on their hips and leading toddlers by the hand, unfazed. Nyoman leads us up the stairs and along a labyrinth of passages off to the right into a private clan temple. I learn later that there are dozens of these little oases in Besakih, dedicated to certain castes and areas of Bali, where prayers are offered before joining the crowds of pilgrims in the temple below. This small temple is magical – a pocket garden of grass hedged with flowers, its ancient bales finely carved, a pot of water lilies in the corner. We light our incense at a special flame. The priest smiles kindly. There is only a handful of people there besides our little group. We sit on the cool grass with the offerings and incense before us and Kadek settles into my lap. Ritually we cleanse our hands in the smoke before raising them to pray. The next prayers are made with blossoms between our fingers, the final one with empty hands again. Then the priest blesses us with holy water. We drink it from our cupped hands, bless ourselves with it, and press grains of rice to our foreheads and throats. The ancient carvings of the little temple stand in stark relief against the clear blue of the sky. Penjors snap overhead. Divine energy bathes the air around us. We sit quietly, sharing a scared time and place. Down in the parking lot it is modern day. Here, it is as it has always been.